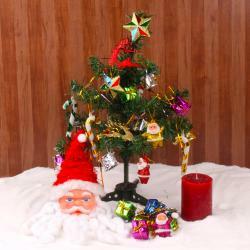 Product Consist : Christmas Tree (Size : 12 Inches) with Pack of Snow White Decoratives Ornaments like Stars and Bells along with Small Snowman. 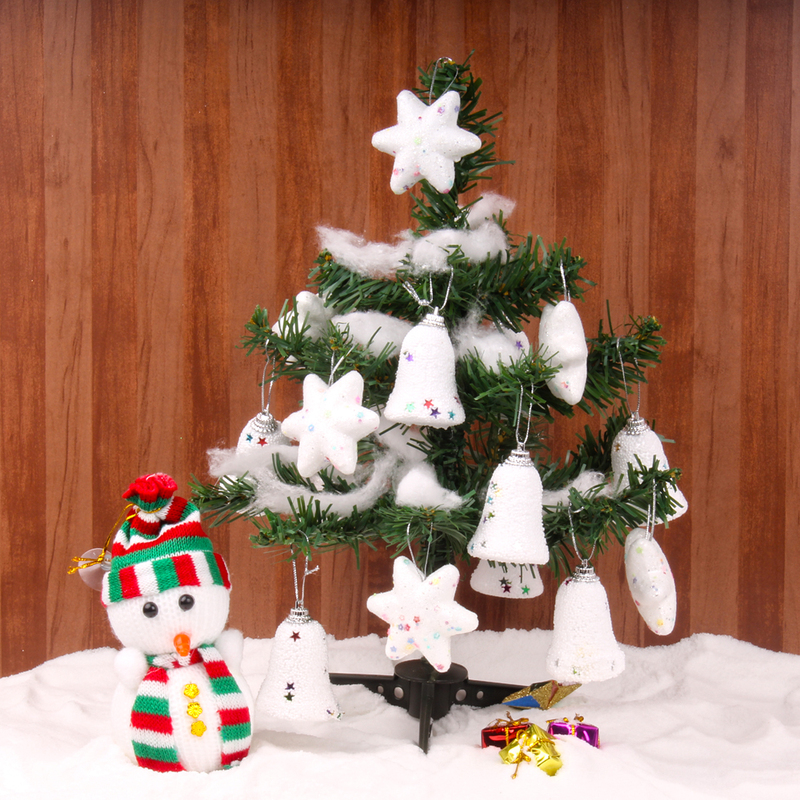 Our frosty Snowy Christmas Tree will add a touch of Christmas joy to any home this winter. Special plastic molded tips make this tree a real head turner and a close replication of a freshly cut tree, snow covered tree from a winter wonderland. 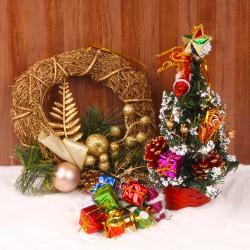 This Christmas gift is inspired by winter and snowfall so its decorative also come in snowy white color to give real look of Snowy season of Christmas. To add some more happiness we have team up the Snowman with this Christmas Tree. 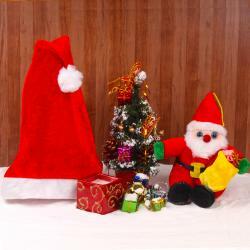 So, why are you waiting for order now this Christmas Gift and decorate your house with snow. 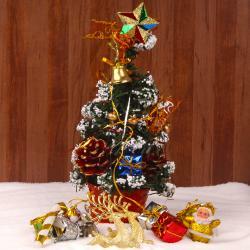 Product Consist : Christmas Tree (Size : 12 Inches) with Pack of Snow White Decoratives Ornaments like Stars and Bells along with Small Snowman.